The Story of My First Job Interview. What a Nightmare! What can happen when you're not prepared. Inspired by the JobMob article 444 Most Popular Job Interviewer Questions To Prepare Yourself With, my friend and job search coach Lavie Margolin has just published “Winning Answers to 500 Interview Questions“. I remember my first job interview. I was lucky, I didn’t even have to apply for the job. A friend of mine had a marketing position for a small web design company in downtown Montreal (Canada) and they were looking to add someone just like him to their team. I didn’t have any much marketing experience but this was a junior position and as a Computer Science major, I had spent more time online than pretty much anyone else I knew. My friend was able to get me the interview invite simply by mentioning to his boss that yes, he did actually know someone who might be a good fit. One phone call later and I was all set with a date and time bright and early in the morning a few days later. I did no homework for the interview. If I knew the name of the company, it was because my friend had mentioned it. I certainly didn’t visit their website or check for press mentions, and LinkedIn hadn’t been invented yet or I would have ignored that too. I vaguely remember forwarding my resume to my friend before the interview, but his boss probably didn’t read it before we started. Or even need to, because there wasn’t much there to read. On the day of the interview, I was a little early to the company offices and arrived with a paper copy of my resume in hand. I’d slept well, was well-dressed, feeling good and happy to see that my friend was already there too, as he opened the door to let me in. His boss invited both of us to sit down in their front office lounge, offered a drink (which I refused), and we got underway. The boss quickly scanned my resume and asked some quick questions to basically confirm what I’d listed there. Maybe he sensed that I was nervous and just wanted to break the ice, but I remember feeling confident. And then everything went downhill quickly. I frantically searched my mind, but if there was a French word for ‘browser’, I hadn’t heard it. I was supposedly bilingual and supposedly very familiar with Internet terminology, so if there was a French word for ‘browser’, I should have heard it. I really had no clue. “I… I don’t know,” I stammered, and my face said it all. It felt like I had been caught in a lie, which I had been, frankly. There may have been another language-related question that I didn’t know, but the boss had heard what he needed to and was very curt about it. He said something like “I think we’ll stop here. Good luck with your job search.” He didn’t thank me for coming in, but he also didn’t thank me for wasting his time either. After the fact, I felt bad that perhaps my poor interview would lesson the boss’s esteem for my friend and cause him problems at work, but if it ever happened, my friend never said anything. I could have recognized that I wasn’t qualified for the job and been clearer with my friend when he asked me about it. I could have researched what kinds of projects the company was working on, and what kinds of projects the company would need the hire – me – to work on. LinkedIn didn’t exist yet, but I did have a friend on the inside, after all. I could have been more honest on my resume about my language skills, or at least tried to get someone else’s assessment of them, to confirm or reject what I thought I knew before having it done in real-time, to my face, embarrassingly in the middle of the interview. 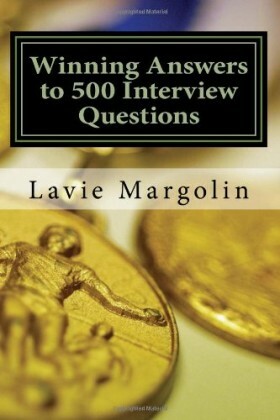 With this book, Lavie Margolin has done a great job bringing you almost every general purpose question that you’re likely to hear in your next job interview, complete with advice on how to respond and a sample answer in every case. Read the book cover to cover, answering to yourself as you go. You can also use the book as a handy reference, to check the questions you’ve struggled with in the past and prepare better answers for the future. And of course, run interview simulations with a friend choosing questions at random. 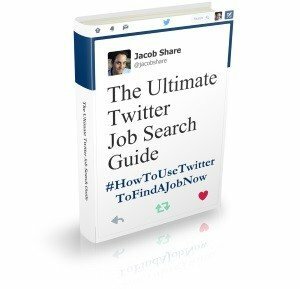 By the time you get through Winning Answers to 500 Interview Questions, you’ll either feel ready to conquer any job interview or you’ll have pinpointed exactly where you need to improve so that you can conquer any job interview. 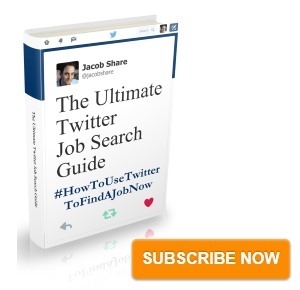 Subscribe to JobMob via RSS or email and follow me on Twitter for more insightful job search stories. I agree that you could have been more prepared. However, based on how the interview went, I’d say the boss lost out just because of one small, stupid question. If he got so upset about not knowing one word, which was really a relatively new word in any language, then he probably had bigger personality issues that you would be writing about if you had gotten the job. At one point in my life I was “fluent” in Spanish. The definition of “fluent” is often misunderstood… but not knowing every single word in either language (English or French) doesn’t mean you are lying about your language abilities. I say good that you didn’t get to work with a narrow-minded (probably) idiot. Jason – you might be right, and it definitely isn’t a great idea to put all your stock in one question, although I certainly didn’t know better at the time. I do remember walking out with the feeling that the boss was a bit of a jerk and could have gone a bit easier on me, but I was more frustrated than anything at what I was as a wasted opportunity and that definitely colored my feelings.